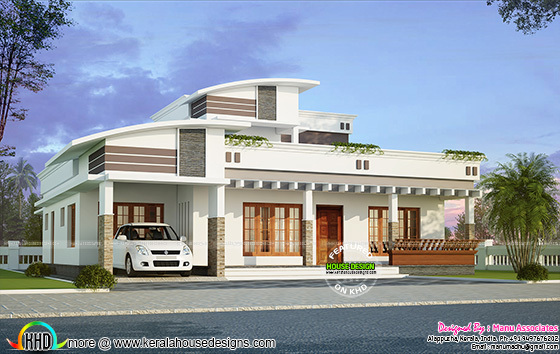 2370 Square Feet (220 Square Meter) (263 Square Yards) 4 bedroom modern residential architecture. This is a 3 bedroom home. Designed by Manu Associates, Alappuzha, Kerala. 0 comments on "2370 sq-ft modern 4 bhk home"